It was a tragedy in the Nwani family in Asaba, Delta State on Sunday night, as their son, Aniemeka Nwani, who is in his 30s, slaughtered his two younger brothers, Kingsley and Nwayo. The Nwani family of Issele-Uku in Aniocha Local Government Area of the state is an independent marketer of petroleum products in the Delta State capital. A family source on Monday that Aniemeka killed his brothers one of whom was an undergraduate with a machete. The source, who pleaded anonymity, did not give details but said the three brothers and their widowed mother had had a family meeting before the ugly incident. He said, however, that the suspect had been a patient at a psychiatric home in Uselu, Edo State. He said the widow, a Permanent Secretary in the Delta civil service, had returned from Canada where the daughter lives two weeks ago, after a medical check-up. The Police Public Relations Officer in Delta, DSP Andrew Aniamaka, confirmed the incident and described it as tragic. 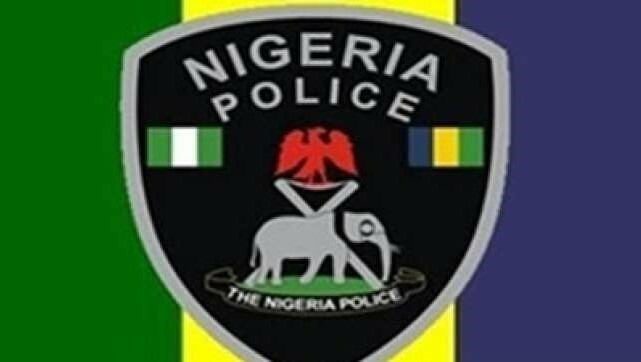 Meanwhile, the Lagos State Police Command, on Monday, confirmed the arrest of a 29-year-old ‘fraudster’ and cultist, Taiwo Akinola, who allegedly attempted to kill his mother, Mrs Alice Akinola, for money ritual purposes. The command’s spokesman, CSP Chike Oti, confirmed the arrest in a statement. He alleged that the suspect was arrested on Sunday at about 8.30 a.m., at No. 2, Raji Ajanaku St., Alaja Road, Ayobo, a suburb of Lagos. Oti said the alleged incident happened in the flat where the suspect, his mother and his 14-year old nephew were living at the above mentioned address. The statement said, “In a carefully thought out plan to kill his mother, Taiwo, said to be a staunch member of the notorious Aiye Confraternity, went to the victim’s provision store in front of their apartment. “There, he told his mother to meet him inside the house for an important discussion. “At the same time, he sent his nephew, Faruk, to go and buy him white handkerchief and a stick of cigarette. The statement stated that, “When Faruk returned from the errand, he did not see his grandmother in the shop so he went into the house only to see the poor woman lying in a pool of blood. “Shocked by what he saw, the small boy raised the alarm which attracted neighbours to the scene. “They called the police from Ayobo Division who on arriving the scene promptly arrested the suspect. “They also secured the scene for further investigation by the police forensic experts attached to the Homicide Section at the SCIID Panti, Yaba,” Oti said. Oti added that the victim, whose life was hanging in the balance was quickly rushed to an undisclosed hospital for medical attention. Oti also said that the Commissioner of Police in Lagos State, CP Imohimi Edgal, had paid the initial hospital bill which enabled the doctors to commence treatment on the victim. Oti said that the suspect had allegedly confessed that he was asked to kill his mother and become stupendously wealthy. He also said in the statement that police detectives found two calabashes in the suspect’s room. He said that one of them contained a human skull and the other contained a mixture of dark concoctions. Oti also said that the police also found a plank perforated with nails stained with blood and a blood-stained pressing iron in the suspect’s room. He added that other exhibits recovered from the suspect’s room include: a white handkerchief with which the suspect wanted to scoop the victim’s blood and a bottle containing oil and labelled back-to-sender. The command’s spokesman also quoted the CP as charging Lagosians to rise against all forms of crime and criminality. He said that the command triumphed over the menace of the Badoo cult group with the help of public useful and timely information to the police. The CP was quoted to have added that the time had come to root out street cult groups. He said that complacency was not an option in the face of threat to peace and security posed by nefarious associations.